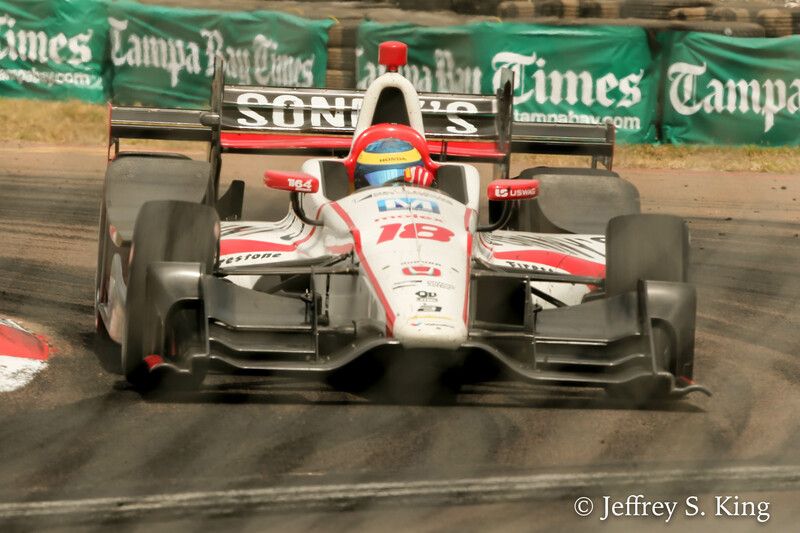 Sebastien Bourdais started the day in last place. He finished in first. Bourdais took the St. Petersburg Grand Prix Sunday, beating reigning Series champion Simon Pagenaud by more than 10 seconds. Bourdais, who is from France but lives in St. Petersburg, He started the day in 21st place – last – after a problem in qualifying. "It's probably the hardest race (in which) to recover," Bourdain said. "The (passing) windows are super narrow and it's difficult to pass," he said. "We had a pretty good car and I just threw it away. I really didn't know what to do myself. To turn the result from yesterday to today, I just thank the guys." the fifth career win for the Coyne team. "From last to first, that's about all you can do," Coyne said, adding of his new hires, "we knew we'd be much better than we were before." Bourdais led 69 of the 110 laps to give Honda a much-needed victory over Chevrolet. How bad was Saturday, however? It was bad. “We took his shoelaces away so he couldn't hang himself,” said Dale Coyne, owner of Bourdais’ car. 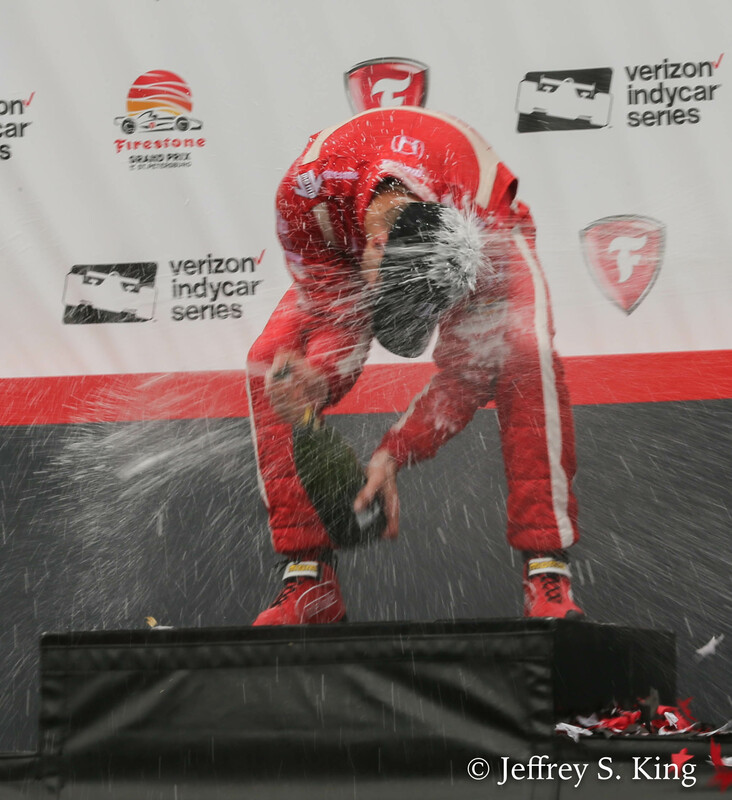 Scott Dixon finished third for Chip Ganassi Racing, in its first race back with Honda. Ryan Hunter-Reay was fourth for Andretti Autosport and Honda appeared much improved with four drivers in the top five. Tacoma Sato was fifth in his first race with Andretti. 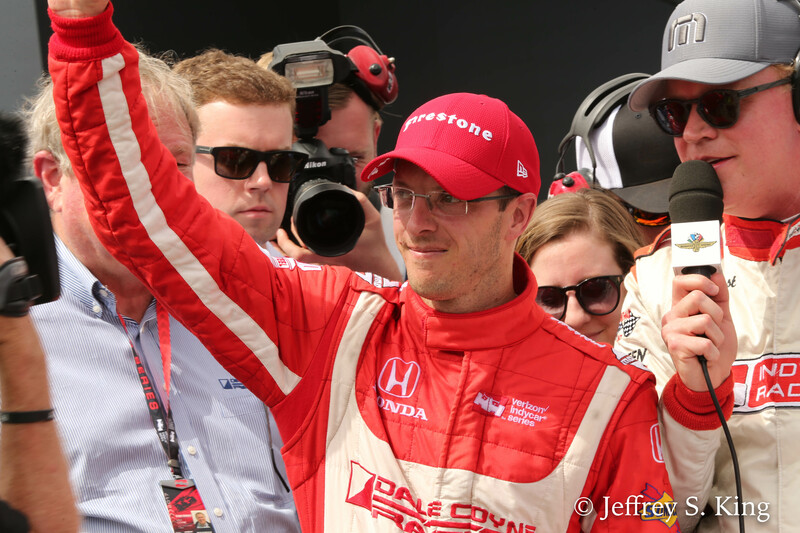 “A lot of things come back,” Bourdais said. “I caught myself thinking about 2003, when obviously we started the opposite. We dominated the weekend, were on pole, cleared the field, then all hell broke loose. I found myself tapping the wall in turn eight, threw it away. It’s pretty cool that this area has a Grand Prix race and a PGA golf tournament but why do they have to be held on the same weekend? The Valspar broke their attendance record this year with a relatively weak field. Do you have an stats on attendance for the race? I still hope you attend Valspar next year and write about it. No stats yet. But a lot of people watched sports this weekend.